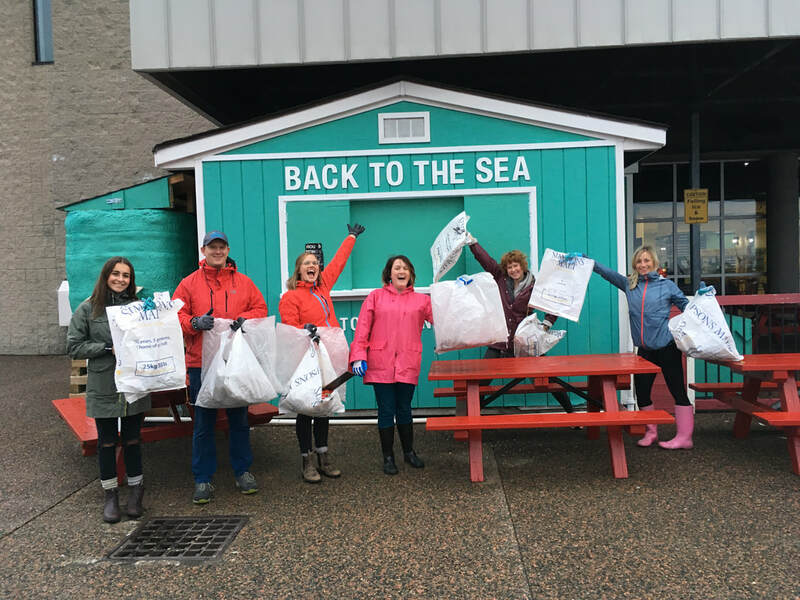 ​OUR GOAL IS TO OPEN A SMALL-SCALE, SEASONAL AQUARIUM IN GREATER HALIFAX! We've launch a Spring Plog for the Sea challenge! Click below to sign-up as an ambassador or to support our participants. ​Thank you to all our 2018 visitors! FUN WAYS TO SUPPORT US! More info on this partnership coming soon! If you order a dozen bars from Stoke Food Supply and forgo the plastic packaging (they'll wrap the bars in compostable parchment paper instead! ), they'll donate the total packaging saved amount to Back to the Sea! View their flavours on Instagram and order via email info@StokeFood.ca. Trust us, these are filling and delicious! Coming soon! For the month of May, A for Adventure will be donating proceeds from their ocean collection merch to Back to the Sea. If you believe in our vision and mission, consider donating today! STAY UP TO DATE ➤ WE'RE CREATING WAVES! ​Be the first to hear how you can join our team, events to attend and how the aquarium project is moving along. You’ll also get our Water We Up To newsletter every season. ​The photos featuring animal collections on this site are a courtesy of the Petty Harbour Mini Aquarium.